Der Objekt 416 ist ein sowjetischer mittlerer Panzer der Stufe 8. Die Entwicklung des Objekts 416 wurde im Herbst 1949 im Konstruktionsbüro der Fabrik Nr. 75 begonnen. Die Konstruktionszeichnung wurde bis März 1950 entwickelt. Aufgrund technischer Probleme mit dem Turm stand der funktionsfähige Prototyp erst April 1952 bereit. Verbesserungen wurden gemacht und ein weiterer Prototyp im Sommer 1953 gebaut, doch erlangte das Fahrzeug nie Serienreife. Der Objekt 416 führt zum Objekt 430 Version II. 100mm M-63 has very slow shell velocity and rather mediocre accuracy for sniping, meaning it can be quite temperamental. The Object 416 shares a lot of similarities with the ELC AMX. Both have limited turret traverses, good mobility, great guns, and outstanding camouflage values even for their own class. Almost undeniably, the 416 has the best gun a tier 8 medium could ask for. With great alpha damage, great penetration, very high damage per minute, and roughly average aim time, accuracy, and dispersion values. Were it not for the alpha not quite cutting it, it could very easily be on par with a tank destroyer's gun. Be aware that this gun seems to have a very temperamental accuracy and shell velocity, meaning that sometimes RNG can be a huge factor in your success of hitting and penetrating a target or not. The 416 has a very small stature that would make you think it's a light tank. With a base camouflage value of 24%, and 47% with camo training and paint, it's actually better than most tank destroyers in its tier. It can stay un-spotted at very close ranges that other tanks wouldn't even dream of being at without expecting to get shot. It can also scout relatively well due to the very good mobility and average view range, which can be combined with optics or a binocular telescope. Sadly, even the best tanks have their downsides. While the 416 loans a lot of good features from tank destroyers and light tanks, it also comes with some bad ones. Most notable are the very poor gun depression (-3 degrees) and the limited turret traverse. The low health comes into play time to time as you will easily be penetrated by most things firing at you and you cannot minimize exposure much without camo, as you do not have any gun depression or armor to rely on once you get spotted. Furthermore, the gun has mediocre accuracy and slow shell velocity for a sniping gun, and can be frustrating at times to use despite the excellent DPM. 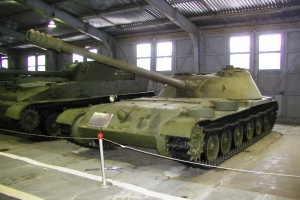 Due to the unique characteristics of this weird medium tank, it greatly rewards knowledge of firing lanes, defensive techniques, vision mechanic abuse, and knowing what roles suits it in particular situations, as depending on circumstances, it can adequately perform the roles of passive scout, sniper, and flanker. These traits also belong to the ELC, and experience driving it can help. Fortunately, for the most part, the 416's cons are not very prevalent as it can spend whole matches un-spotted due to the high camouflage value it has and due to the fact its engagement ranges are limited by its poor armor and gun depression. Nonetheless it is an excellent tank for its tier and should not be underestimated by its looks. The R-113 radio carries over from some other Russian branches. Research the tracks first so you can mount equipment. Next up should be the gun. While the D10T is not bad, the M-63 is what makes the tank. Research the turret next. Not only does it have better angles, it also boosts your rate of fire, increases your health, and enlarges your view range. Go ahead and research the radios if you haven't already. Research the top Gun 1st if possible, this way you will save 260kgs from the stock Gun, which allows you to mount the Medium-Caliber Tank Gun Rammer and the Binocular Telescope right away. If you have the top Radio researched already, you could save another 50kg, which is just enough to mount the Camouflage Net. Next will be the Turret, for an improved stats boost all-around. Lastly the Tracks, for a major improvement on soft ground resistance and for more choice of Equipment to be mounted. The Object 416 medium tank was developed at the Construction Bureau of Factory No. 75, starting in the fall of 1949. The blueprint was developed by March 1950. 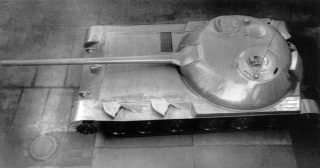 Because of technical problems with the turret, a working prototype was not ready until April 1952. Improvements were made and another prototype was built in the summer of 1953, but the vehicle never entered mass production. Development of Object 416 started at Kharkov Plant no.75. The goal of the project was to create an entirely new tank, that would be protected as much possible while weighting as little as possible. The technical project for it was finished in 1950. First prototype was buil t one year later, in 1951. Preliminary tests revealed a number of defects, most of which had to do with drivetrain and suspension reliability. The extremely low height of the vehicle, implemented so that the frontal silhouette is as small as possible, and also to minimize the volume so adequate armor protection can be achieved with using as less steel as possible. However, this concept had severe impact on crew operation – the tank was simply too small to do anything in! 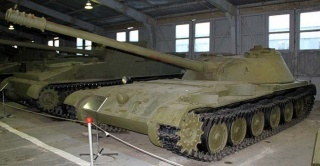 Since it proved practically impossible to drive the vehicle and fire the gun simultaneously, the work on the prototype was stopped and “Object 416″ was redesigned into a self-propelled gun, receiving an official designation of SU-100M. 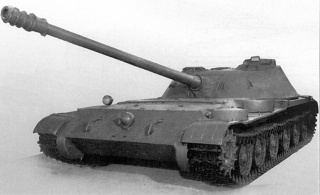 In 1952, SU-100M passed the tests, but it was never adopted in service. 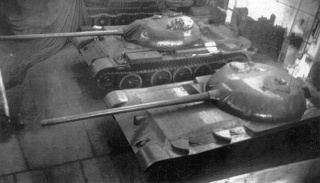 The reason for that was that in most parameters, SU-100M was basically equal to SU-100P (and in some parameters it was even worse), which was serially produced since 1952 – and therefore there was no need to implement it. At that point the project was canceled, and all further development was stopped.